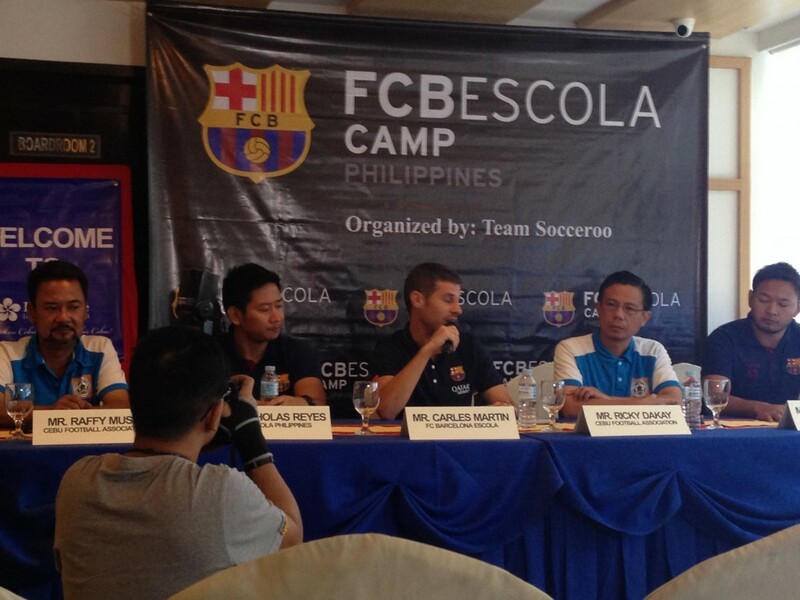 FC Barcelona Escola Camp Philippines. Free Football Training for Cebu's Future Azkals. 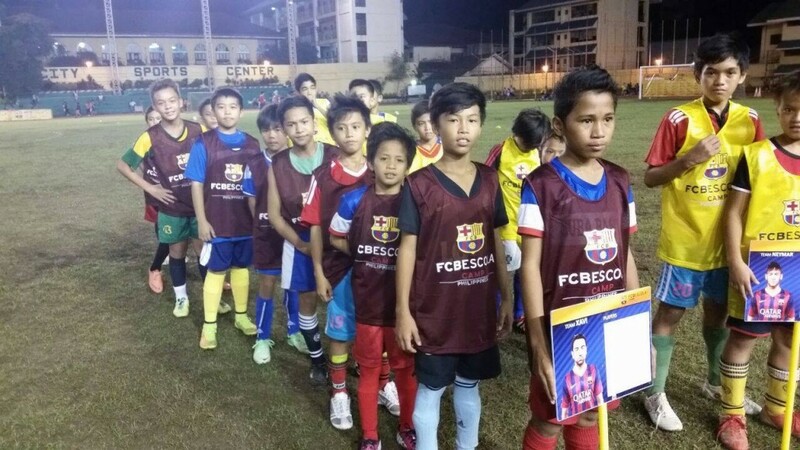 The FC Barcelona Camp Philippines is again giving opportunities to the Filipino youth through their free football training camp, which will happen this month in Cebu, particularly from October 26 to 30 in Aboitiz Sports Field. Last October 2, 2014, the group Team Soccerro had a press conference in Cebu Parklane International Hotel to announce its selection trials. 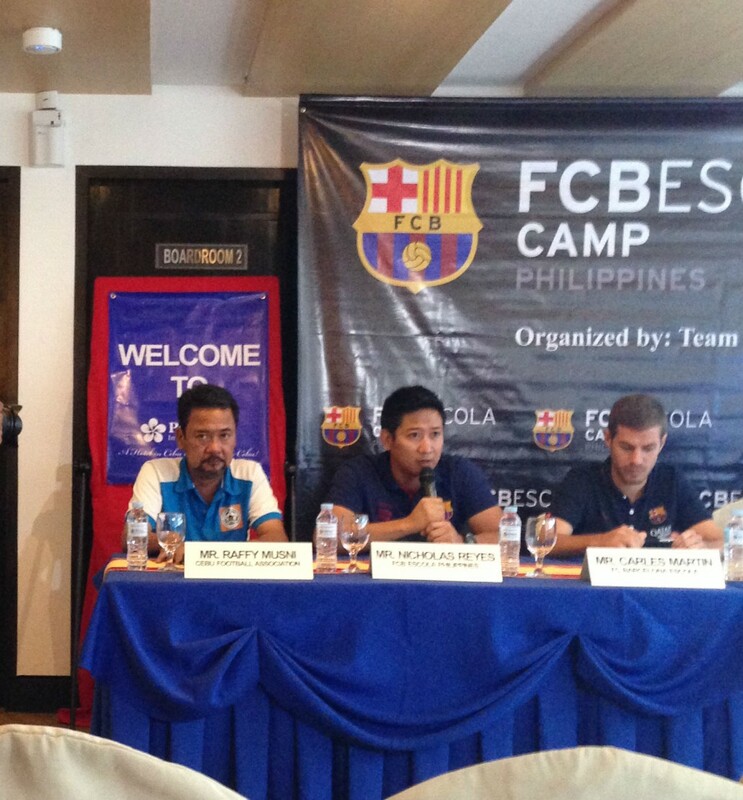 The press conference was attended by Cebu media as well as 5 people representing FCB Escola, namely; Raffy Musni (Cebu Football Association), Nicholas Reyes (FCB Escola Philippines), Carles Martin (FC Barcelona Escola), Ricky Dakay (Cebu Football Association), and Michael Reyes (FCB Escola Philippines). The selection trials, which took place last Thursday in Cebu City Sports Complex, aimed to give chances to the underprivileged kids of Cebu, particularly those who have been recommended by some of the licensed local football coaches. These 80 kids come from different football teams around Cebu and from different age groups (under 9s, under 11s, under 13s, and under 15s). FCB would then choose and rank 2 kids from each age group, resulting to a total of 8 scholars from the selection trials. 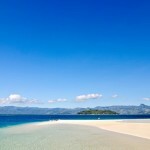 Two expert coaches from FCB will train 4 licensed coaches from the Cebu Football Society in time for the football camp this October. 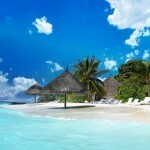 There will be a total of 140 slots available for the camp. The selected boys and girls will get exclusive uniforms and hands-on football training, all-expenses paid care of FCB. “The kids will be trained the ‘Barcelona way’ and we will give them the whole Barcelona training experience” says Carles Martin who is FCB’s Asia-Pacific Coordinator. The Barcelona way, according to Martin, is teaching the kids “to be good players and good people” and to “WANT the ball”. 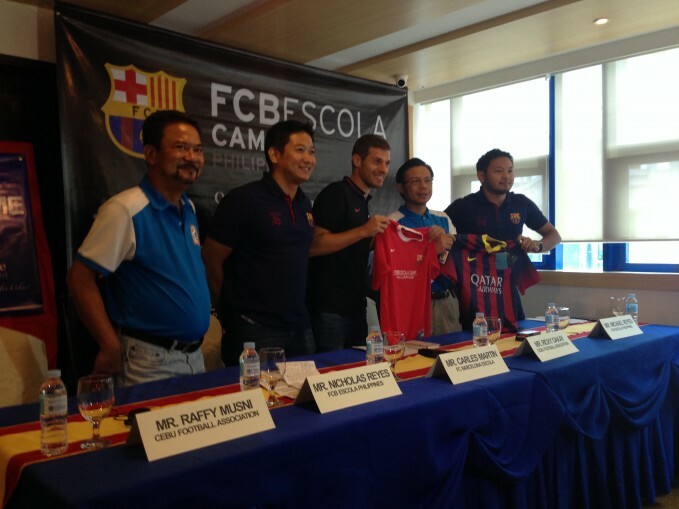 Mr. Carles Martin (middle) of FC Barcelona Escola said their group is willing to help Asia’s football industry and develop future training schools for the Philippines. He also said they’re looking for local players who can represent FC Barcelona. FCB says it’s also possible to eventually bring these kids in Barcelona for another in-depth training; however, they need more funds to make this huge dream come true. 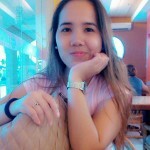 This is why the group is calling out to all Cebuanos and Filipinos to support local football by sponsoring talented underprivileged kids in their continuous training. Mr. Nicolas Reyes (middle) of FCB Escola Philippines said that the group believes in the many potential talents of Cebu and that they’re “developing Philippine football from the grassroots”. Mr. Michael Reyes of FCB Escola Philippines also emphasized that this event will be a historic one for Cebu since it’s going to be the first time that the prestigious camp will take place in the Visayas region. 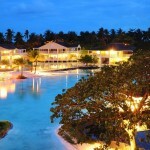 If you are interested to sign up your kids for the October 26 to 30 camp, visit and register at their official website http://www.fcbescolaphilippines.com/. FC Barcelona Escola is the Official Football School of the world class football club, FC Barcelona where world class players such as Lionel Messi, Neymar Jr and Andres Iniesta are from. FCBE teach kids from 6-14 years old to learn the philosophy, methodology and values of FC Barcelona and its world-class quality football training designed and patterned from the famous 1st team of FC Barcelona. 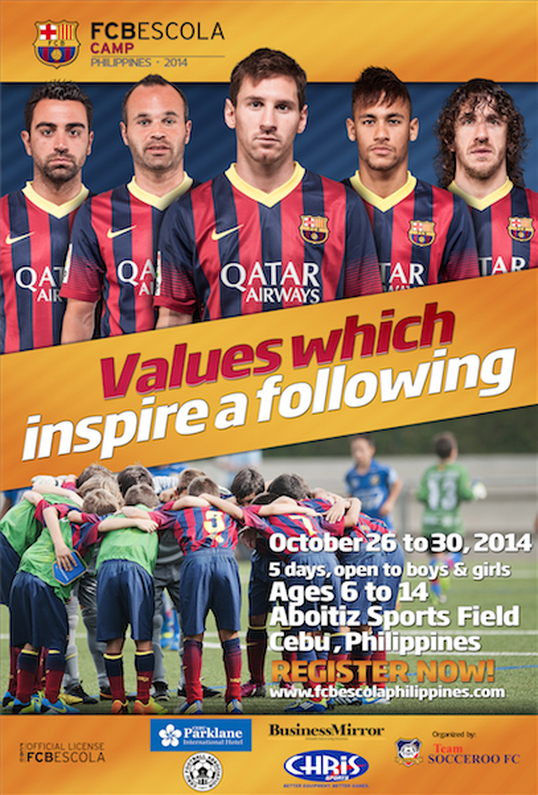 The FCB Escola Philippines held Football Camps in Alabang ang Taguig last year. They were huge successes where hundreds of participants from different regions in the Philippines and various countries in Asia enrolled to experience the FC Barcelona Escola under the supervision of FCB Escola Camp and coaches from Barcelona, Spain. FC Barcelona Escola Camp Philippines is a five-day football camp in the Philippines from the FC Barcelona Escola, the official football school of FC Barcelona. The Camp aims to contribute in the development of football in the Philippines through the grassroots and through the philosophy and methodology that Barca is known for. Participants will serve as inspiration and hope for fellow youth football players. 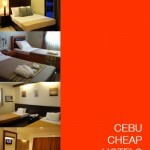 To learn more, visit http://www.fcbescolaphilippines.com/.